It was on eve of the 14th of Nisan, Jesus met with his disciples in the Upper Room which stood over the Tomb of David. This supper was a rehearsal supper for the Passover Seder to be done after the slaying of the Lambs on the afternoon of the 14th of Nisan, and to be eaten on the eve of the 15th of Nisan, the Passover Seder. It was here Yahshua instituted the Last Supper’s commemorative rites. Was the Last Supper a Passover Sedar? In the opinion of this author, it was not unless the evidence concedes that the Last Supper was an Essene seder. The evidence suggests that they were discussing and preparing for the Sedar. What is the evidence? 1. On the table in the Upper Terrace, there was no evidence of a Passover lamb, but this could have been an Essene Passover on Wednesday. 2. During the Last Supper, Yahshua sopped the bread suggesting that it was leavened. Neither does it specifically state that it was unleavened bread. All through the gospels there are specific references when the rules of the halakhah or the rules on how to observe the Mosaic law were followed. There is no such mention here. 3. Jesus gave the last piece of leavened sopped bread to Judas. This suggests that Judas was the leavening in the disciples. He was the contaminated one. Maybe this was a ceremony to clean the house and get rid of Chametz (leavening). When Judas left, the Chametz (leavening) was gone. 5. 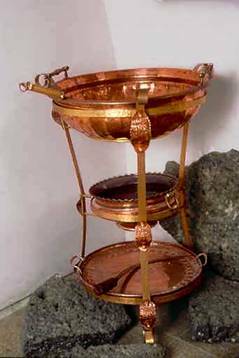 Pilgrims were already purified by this time by immersing in their mikvah baths, so the washing of feet would not have been performed on the Passover. The washing of feet could have been a symbolic mikvah, to occur prior to the Passover. To understand the Hebrew mindset, we can see even to this day where an orthodox rabbi will meet on the day before the Passover with His students and conduct a training lesson on the Passover Seder. In the Lubavitch rabbinic movement they gather together the night before the Passover for what they call the “Moschiach’s Supper”. Many rabbis consider this meal being a Pesach meal even though it comes before the actual Passover. We must ask again, was this an actually a rehearsal supper for Passover which was to come on the next eve? First cup - God “Freed” us. Here we see the “Type” as when the “Exodus” by the Israelites from their exile in Egypt occurred. Here Type met “anti-Type”, when we see the “Exodus of the Lost Tribes of Israel, lost in the nations of the gentiles since their exile by the Assyrian invasion in 702 BCE, now returning to the land of their fathers with the redemption of the House of Joseph. Second cup – God “Rescued” us. Here again we see in the “Type” when God “saved” the Israelites in the dramatic crossing of the Red Sea as they fled from their Egyptian oppressors. Here Type met “anti-Type”, when we see the redemption of the chosen ones of Israel as they crossed over “Red Sea” and left their old life in exile with the Globalist Gentile Nations of the world to their new life in the re-Newed brotherhood of the tribes of Israel. Third cup - God shall “Redeem” us” us and make a Covenant with us. Here we see in the “Type” the God of Israel descending down upon Mount Sinai. He redeemed His chosen ones and then made a declaration at that time of the Covenant between He and the Children of Israel. Here Type met “anti-Type”, when Yahshua, the Yahweh Elohim (“God of Israel”), who was the Son of the Father, and descended down from the World of the Divine in the incarnated form of a babe called Yahshua and declared a reNewed Covenant (Brit Hadassah (Renewal of the Covenant) with His disciples (talmidim). Let us not forget, this reNewed Covenant was to go first to the Lost Sheep of the House of Israel. Many of us today are part of those Lost Sheep. Fourth cup – God “took us to be His own people”. Here we see in the “Type” when the children of Israel entered into the Promise Land. Here Type met “anti-Type” when the House of Joseph (Ephraim) is redeemed and enters into Eritz Yisra’el (Land of Israel) in fulfillment of the prophets of old. Fifth cup was set for the Prophet Elijah – The prophet Elijah is expected by the Jews to return and announce (future) the coming of the messianic age. No one will know this message until announced by Elijah according to the Rabbanim. The “Type” of Elijah the greatest of the prophets met his “anti-Type” when Yohannes (John) the Baptiser came with the mantle of authority of Elijah the Prophet, with his voice crying in the wilderness proclaiming the message, “Prepare you the Way of the Lord.” Yet, John the Baptist was only one anti-Type that will be repeated at the time of the end when there will be two; the two witnesses. (Revelation 11 and Malachi 4:5) Will these two witnesses be the return of; Moses, the Great Lawgiver and Elijah, the Great Prophet or will it be; Daniel, the apocalyptic prophet of the TaNaKh (Old Testament) or the Apostolic Prophet John the Revelator in the Brit Hadassah (reNewed Testament)? Matthew 26:29 - “But, I say to you, I will not drink of this fruit of the vine from now on until that day when I drink it new with you in My Father’s kingdom." Will the 4th cup be shared with His followers when Yahshua returns to install the “kingdom of God” in the future? Was Yahshua staging the idea that the Lord’s Supper and the Passover have a future prophetic application? Will Yahshua drink the 4th cup, when He comes to bring the Kingdom of God to a living reality in our three dimensional or maybe to our fourth dimensional world in the future? The eve of the 14th day of Nisan, the day before the traditional Passover, Yahshua, after the Last Supper in the House with an Upper Terrace, He spent a good part of the early evening with His disciples giving them His last and final instructions and teachings. Then Yahshua and His disciples went down Mount Zion on the pathway near the residence of the high priests, into the Hinnom Valley as they headed across the Kidron to the garden district near the Village of Geshemonim where He spent the evening in agony in the Garden at Gat Shemen. There he felt the withdrawing forces of His Father in heaven as the powers of evil enclosed around him. He must now walk alone, trusting in complete submission that his mission was complete. There, Yahshua awaited his captors. 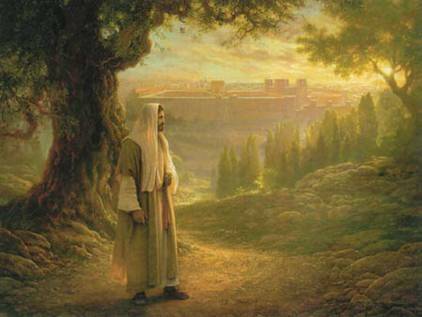 Captured by the temple security guard under the authority of the high priest, Yahshua was captured in the Garden of Gethsemane under the accusation of a “kiss” by his own disciple, Judas Ischariot. He was taken to the palace of the High Priest, Ananus the Elder in the midst of the night to face His accusers as they interrogated Him, seeking to find charges for His death. At daybreak, He was taken to the Sanhedrin for trial and only under the accusation of blasphemy by Caiphas the high priest, he was condemned to die. There Yahshua was sent to the Roman Praetorium, where He stood in the judgment seat of Pilate, who deferred Yahshua’s fate to Herod in the Herodium Palace and then back to the Praetorium, where Pontius Pilate washed his hands of this whole travesty of justice. This was the preparation day for the Passover. The High Priest and the participating order of the cohanim (priests) were in an uncomfortable position. If they stepped into a defiled place, such as a Roman civil court, they would be defiled and unable to participate in the preparation of the Passover sacrifices. This concern for the defilement of the High Priest was in reference to the preparation of the sacrifices of the Passover Lambs. Since the weekly 7th day Sabbath did not have a sacrifice, the concern for defilement was not in reference to this day, since Passover nor the first day of the Festival of First Fruits was not on the 7th day weekly Shabbat. In the Temple, the priests were in full production of preparing the sacrificial lambs for the pilgrims. The morning sacrificial lamb had been completed. Now with the altar fires in full production, thousands of lambs were moved across the altar and roasted for the evening sedars for the tens of thousands of family units in the city. Back at the Governor’s court, Pilate, as though he had no control of his own volition cried out, “I find no fault in him.” Jesus was found blameless. At the same moment, the High Priest, Caiphas, in the Temple with the Passover Lamb, cried out, “I find no blame with the lamb.” The lamb was then lead to the slaughtering area, while Yahshua was taken out of the Praetorium to be taken to the mount crest called Golgotha hill to die. In route, the crossbar was thrown across his shoulder, like Isaac carried his own wood for the altar, and there Yahshua walked out to the peak of Mount Moriah. Back in the Temple, the Passover Lamb was being bound for slaughter, while on the rocky ledge called, Golgotha, Yahshua was being bound upon the wooden tree. It was closing in on the ninth hour for the sacrifice of the Passover Lamb. Darkness pervaded across the whole land. The elements were silenced. Even the forces of nature waited in anticipation. The High Priest near the hot ovens turned to a cohanim and stated, “I thirst”. Yahshua on the cross called down to the guards stating, “I thirst.” Then, as the High Priest raised his hand and struck the knife into the heart of the Lamb, he cried out, “It is finished”!, outside on the hillside of Moriah, which looked like the image of a skull, Yahshua heaved a mighty gasp and cried out, “It is finished”. In the presence of the disciple (talmidim) He loved, the Apostle John, His spirit, like the dove, which descended upon Him at Jordan, once witnessed by another John the Baptizer, was witnessed as it left Him, by another John called the Beloved. The bowels of the earth began to rumble, the towers of the city walls began to shake, the ground began to heave, and the tombs on the side of the Mount of Olives were rent open. The Temple curtain which lay between the Holy and the Most Holy Place shredded from top to bottom, when the great lintel that held the curtain broke and fell to the pavement below. The Holy of Holiest lay empty. The presence of the Almighty One of Israel was gone. 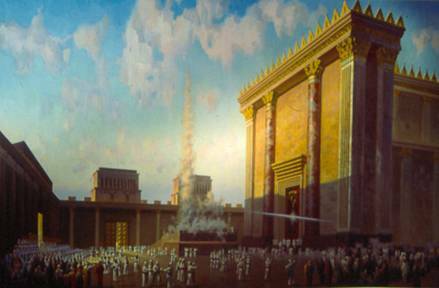 From this day forward “Omens” pervaded across the land of Israel until the temple was destroyed forty years later in 70 CE. Action was moving quickly, the guards quickly went to inspect the three hanging on the crosses. 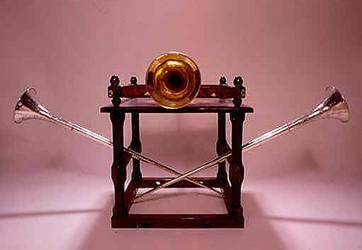 With sixty pound steel bars, they quickly smashed the legs of the revolutionary brigands against the crosses. The femurs splintered into a bone multiple fragments. The femoral artery began to spurt pulsing blood. The “thieves” were removed while the blood slowly drained their life away. The Roman centurion, coming to Jesus saw Him lying limp and lifeless on the tree. He plunged a spear into His aorta. The serum and the hemoglobin had already separated and what appeared to be “blood and water” poured out upon an earthquake rent fissure and dribbled into the mountainside. Back in the Temple, in the midst of the earthquake, the lambs were quickly removed from the ovens while Yahshua’s body was removed from the execution tree to the Garden Tomb. On the Temple Mount, the eve of the 15th day of Nisan, the cohanim were quickly removing all the lambs and distributing them to the families, who were holding Passover Sedars. At that time a rich nobleman, Joseph of Arimathea, who was a member of the Roman Provincial Council of Judea, an esteemed Elder of the Jewish Sanhedrin and sat on the hereditary seat of David, was removing the body of Yahshua along with the wealthy Pharisee Nicodemus. Once the barley is brought to the Temple Courtyard, priests beat, roast, grind, and sift the grain. There was one vital nugget of information. Joseph of Arimathea was the brother to the father of Jesus’ mother, Miriam, and the great uncle to Yahshua HaMaschiach (Jesus the Messiah). Together, Joseph and Nicodemus took the body of Yahshua and placed Him in a newly cut family tomb. All was quiet in Jerusalem on that Passover evening as the families of the Jewish people celebrated the Passover, on the eve the 15th of Aviv (Abib) in their homes under the shining light of the full moon. For three and a half days, the Passover celebration continued, until the first day, Sunday, the day after the Seventh-day Shabbat, when at the setting of the sun, of the 18th day of Aviv, the priests of the temple went out to the valley in front of the Mount of Olives to collect the barley for the “Offering of First Fruits” that were to be waved before the altar early the next morning. Here was an interim period of time in which “time stood still”. Between the eve of the Passover, on whatever day it occurred, until the first day of the Sacrifice of the First Fruits on the first day of the Festival of Unleavened Bread was an undisclosed period of time. The “sacrifice” and “festival” could not begin until the sun had set on the western horizon and three stars were seen in the darkness of the heavens that occurred on the “first day” after the seventh-day Shabbat of the Passover weekend. The fact that Yahshua (Jesus) was in the tomb from Wednesday evening (eve of Thursday) until Saturday evening (eve of Sunday), the first day, made this Passover celebration an extra three and one-half days until the “Counting of the Omer” could begin on the first day after the seventh-day Shabbat of Passover. 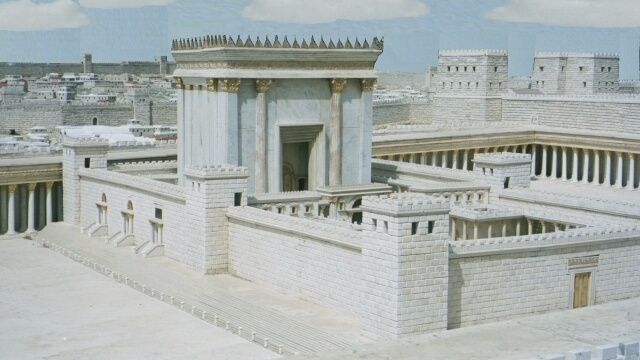 As the pilgrims were heading home from celebrating the seventh-day Shabbat in the temple of Herod, a group of cohanim was exiting the Eastern Gate and crossing over the causeway of the Red Heifer to the Mount of Olives. There in the Field of Ashes they placed cords around ten selected sheaves of barley to be harvested after sundown on the evening after the Shabbat (the weekly Sabbath). 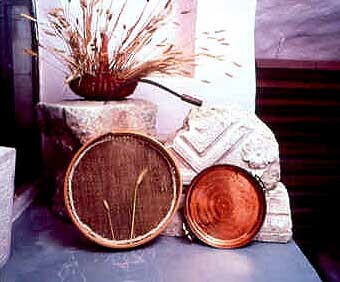 If the Passover Sabbath, which was a floating Sabbath, occurred in the “midst of the week”, the barley would not be harvested the next day, but after the weekly Shabbat, and the setting of the sun three days later. If the Passover Sabbath was on Friday, followed by a weekly Sabbath, the next day, then the barley was harvested on the evening of the weekly Sabbath, the eve of the Festival Sabbath of Unleavened Bread. As the sun was setting in the western sky, at the end of the weekly Shabbat, the priests (cohanim) in the field of barley and in the presence of observers heard a priest cry out, “Has the sun set?” The harvesting cohanim would cry out, “Yes, the sun has set.” Then the priest would cry out, “Would you harvest the barley?”, in which they would echo, “Yes, we will harvest the barley.” Then the priest would say, “With a sickle?”, they would reply, “Yes, with a sickle.” Then finally, the priest called out, “Have you put it in a basket?”, and the harvesting cohanim in the settling darkness would cry out, “Yes, we have put it in a basket.” According to recently discovered documents from the 1st century Temple era, the drama of the first fruits harvest was thus enacted. With the barley harvested, the priests spent the evening in preparation of processing the barley for the waving of the sheaf of barley before the Lord. As the Apostle John stated, this day, the 14th of Nisan was the preparation day for Passover that was to occur on the eve of a festival Shabbath (Sabbath). In as much as the eve of the 15th of Nisan was the night of a full moon, it would have been any day of the week. Yet the next evening, the eve of the 16th of Nisan was not necessarily the first day of the Feast of Unleavened Bread. The Feast of Unleavened Bread lasted for seven days. The festival opened with a festival Shabbat (Sabbath) and closed with a festival Shabbat (Sabbath) day. This festival Passover Shabbat was also a known as “a high Sabbath” (John 19:31) which designated it as a different Shabbat than the weekly seventh-day Sabbath. Except for the wishes of Christian Roman Orthodoxy, who desired that this would be a seventh day Sabbath to justify the sanctity of the Sunday resurrection or the desires of Christian Sabbatarians, like Seventh-day Adventists who found great comfort that Jesus rested on the Sabbath day as justification for the Shabbat rest, there is no real data to suggest that the 15th day of Nisan was a Seventh-day weekly Sabbath. We do know that Yahshua’s body was last witnessed on the evening of the 14th day of Nisan when placed in the Garden Tomb. The tomb was later found empty on the early morning of the 1st day of the week which was after the weekly seventh-day Shabbat. We do not know if the morning of the 1st day after the weekly Sabbath was the 16th of Nisan. In literal time, this text of Daniel suggests that in the midst of the week, was the third day or Wednesday when, “He caused the sacrifice and the oblation to cease.” This no doubt literally became true as there was a great earthquake, the curtain or veil that separated the Holy Place from the Holiest of Holy was rent from top to bottom when the giant lintel that held the curtain broke. From the empty chamber of the Most Holy Place, the interior was exposed to all the priest and observers. The Holy One of Israel was gone. 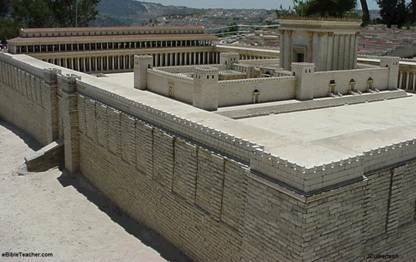 The temple itself was structurally damaged so much that after this day, the Chamber of Hewn Stones which stood only yards away was so damaged that the Sanhedrin had to select a new location for their august proceedings. There was no doubt chaos throughout the temple proper. What were they to do? Even the altar of incense could have been damaged. 11th of Nisan - Sunday - Jesus returns to the Temple and casts out the money exchangers in the Temple. There He ministers to people and children in the Temple. This began “Day 1” of the inspection of the Korban lamb and the Pesach Lamb of God . 12th of Nisan - Monday - Yahshua is ministering in the Temple and interrogated by the Pharisees, Scribes, and Sadducees. This is “Day 2” of the inspection of the Korban lamb and the Pesach Lamb of God. 13th of Nisan - Tuesday - Jesus is again ministering in the Temple and being interrogated by the Pharisees, Scribes and Sadducees. This is “Day 3” of the inspection of the Korban lamb and the Pesach Lamb of God. Eve of the 14th of Nisan – Tuesday Night – Yahshua and His disciples celebrate the Last Supper in the House with the Upper Room. As the rightful claimant to the throne of David, Yahshua sat directly over the tomb of His ancestral father, King David of Jerusalem. 14th of Nisan – Wednesday - The Last Supper and the Garden of Gethsemane experience followed in quick succession by the capture, trial and crucifixion of Yahshua as the sacrificial Passover lamb. A quick disposal of the Passover Lambs plus the quick disposal of the body of Yahshua was made before the onset of the High Shabbat on Passover that ended “Day 4” of the inspection of the lamb who was found without fault by the high priest and Yahshua was found without fault by the Roman governor, Pilate. 16th of Nisan - Friday - Yahshua resting in the grave on “Night and Day 2” on the day before the weekly Shabbat. The Second Day of the Festival of Unleavened Bread. Eve and the 18th of Nisan - Sunday - As the first stars started shining in the evening sky and the weekly seventh-day Sabbath was now over, an aftershock of the great earthquake during the death of Yahshua occurred. The family tomb of Joseph opened and the glorified being of the resurrected HaMaschiach (the Messiah) of Israel strode out of the tomb. Yahshua was resurrected as the “First Fruit” of the resurrection after sundown Saturday evening on the eve of the first day. The next morning as the sun arose in the eastern sky, the priests began the waving of the sheaves of the First Fruits. It was at that moment of time that Mary Magdalene met her Rabboni as Yahshua announced to her that He was to ascend to the other dimensional world of heaven, present Himself and those who were also resurrected with Him the prior eve to His Father. The Fourth Day of the Festival of Unleavened Bread. 1. The prophecy of Jesus dying in the midst of the seven day weekly cycle in Daniel 9:27 would be literally fulfilled. Yahshua began his covenant with His people on the Sabbath, when He rode into city as Yahshua, the King of the Jews, on the 10th of Nisan. This covenant with His people was completed with the sacrifice of the Divine Lamb of God at the end of the Sabbath (sundown) on the 17th of Nisan. In the midst of the week, the sacrifice and oblations ceased, when the temple lintel fell and the curtain was torn from top to bottom between the Holy and the Most Holy Places. 2. The prophecy of Jesus fulfilling the prophecy of Jonah, lying in the belly of the Whale (earth) for three days and three nights, was being literally fulfilled from the 15th to the 17th of Nisan. 3. 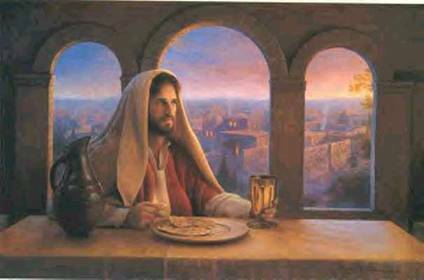 Yahshua observing the Last Supper as preparatory Passover Seder and drank only the 3rd cup, the Cup of Redemption and the reNewal of the Covenant. He proclaimed that He would not participate in the actual Passover Seder until He returns to drink the 4th cup with his followers. 4. Yahshua literally fulfilling the selection of the Lamb ceremony by his triumphal entry into Jerusalem. 5. Yahshua literally fulfilling the inspection of the Passover Lamb for 4 days, during His time of ministry in the Temple plus the day of trial and crucifixion. 6. Yahshua literally fulfilling the final inspection of the Passover Lamb by His trial and found blameless as the Passover lamb was found without blemish. 7. Yahshua literally fulfilling the sacrifice of the Passover Lamb through His death as the Lamb of God. 8. Yahshua resting in the grave on the Passover Shabbat, the High Sabbath – Day 1 in the tomb..
9. Yahshua resting in the grave on the preparatory day for the weekly Seventh-day Sabbath – Day 2 in the tomb. 10. Yahshua resting in the grave on the weekly Seventh-day Shabbat, the week of days Shabbat – Day 3 in the tomb. 11. Jesus resurrected at the end of the weekly Shabbat, and transformed to a glorified body like the idealized Adam, called Adam Kadman. 12. Jesus literally resurrected during the harvesting of the First Fruits as the First Fruit of the Resurrection of those who have died by faith in the Maschiach (Messiah) of Israel. 13. Jesus literally ascending to the Father and taking with Him a group of resurrected ‘first fruits’ of mankind to present to his Father in heaven, like He did on Mount Sinai, when He returned to His heavenly, World of the Divine. This first event occurred on the 1st day after the weekly Sabbath during the Festival of Unleavened Bread. Concerning the resurrection, the traditions are long and imbedded, that Jesus arose from the grave on the first day of the week. As stated above, no disciple witnessed the resurrection of Jesus, so we have no eyewitness accounts. Even the guards at the tomb were asleep. The only account we have is that the tomb was empty on the first day of the week. What is the significance of this dialogue, the implication is that the very details of the Festival of Passover and the Festival of First Fruits given to Moshe (Moses) on the Mount called Sinai were a detailed enactment of what would an actual moment by moment event predicting the death and resurrection of Yahshua. Matthew 27:52-53 – “Many bodies of the saints who had fallen asleep were raised, and coming out of the tombs after his resurrection, they went into the holy city and appeared too many people. We also note that the Israelites did not eat the blood of the lamb, they sprinkled the blood on the upright beam of wood. Out of all the peoples of the world, the Jewish people do not eat nor drink blood, for their food is “kosher” in which there is no blood and neither is the meat roasted or cooked in a cooking utensil that has ever cooked any blood. The Jews refuse to touch the impure contaminants of blood for it defiles the body. Yet of all the nationalities of the peoples of the world, only the Jews are accused of the “blood libel” of drinking the blood of children during the Passover. The first recorded “blood libel” was by the Early Christians as recorded by the classical Grecian author, Apion (1st century CE), that the Jews were sacrificing their Greek victims in the temple. This event occurred many centuries prior to the formation of the Roman Christian Catholic Church in the 4th century. The first recorded “blood libel” by Muslims in the Damascus Affair of 1840 was also intimately associated with the 1840 Great Awakening in the Eastern United States and Europe. At this time, the first call of the Jewish people to return to the land of Israel was timed to the first call to Christians in America and Europe that Jesus was returning for the second time, literally and physically. BibleSearchers Reflections – “And then it happened. It was February, 1840 in Damascus Syria. A Capuchin friar and his servant were killed in the city of Damascus and that day burned in the hearts of Jews around the world and became one of the most pivotal days in Jewish history called the “Damascus Affair”. Immediately and abruptly the medieval blood libel was resurrected. The local Jews were charged with the murder of the friar so that the Jews could use his blood in the preparation of their Passover Seders. What we now can visualize is that Yahshua (Jesus) literally fulfilled the entire drama of the selection, inspection, affirmation of the lamb’s perfection (I find no fault in him! ), slaughter and crucifixion (It is finished! ), and then the eating of the Passover Lamb, (pure and unleavened), as “I am the Lamb of God’, and ‘I am the Bread of Life’. Is this the complete understanding of the Passover? I don’t think so. Let us look at the cycle of the Passover symbolism. A wave cycle begins at its original point. At the middle of the cycle, (in the midst of the week), it now begins to recycle back to its original point. The wave cycle of the Passover, began with an Exodus, in the middle of the cycle the Passover Lamb was literally fulfilled in the death of the Lamb of God. As the wave cycle completes the end of the cycle, there will be another Exodus from Exile. The First Exodus was the Children of Israel, the Second Exodus will be the Lost Sheep of the House of Israel. The cycle of redemption will then be over. 1. All proclamations by God (HaShem) in which He says, “I will do”, will have a literal fulfillment at the time of the end. 2. All prophecies fulfilled in the past were actually only mini-dramas or rehearsals of the actual fulfillment during the final act of the Drama of the Ages at the time of the end. 3. All prophecies have multiple prophetic layers of fulfillment. Historically the students of prophecy have followed the path of their Jewish brethren with better historical hindsight than prophetic foresight. Most prophetic watchers are very good at looking back in time at the understanding of the historical application of a prophecy. The human experience says that we have better hindsight than foresight. Yet all prophecies have a future application that will not be fulfilled until the time of the end. We recognize that time in our world is two-dimensional. The only thing we can work with is learning from our past and looking forward to the future. The historical roots of the descendants of the Great Awakening suggest that they were not weak or timid in finding a literal application for the coming of the Maschiach of Israel. The Protestant Great Awakening in the eastern belt of the United States and even across Europe in the mid 1800s was a “Pentecostal” experience which in itself was a mini-drama of the future and final “Pentecost”. Joseph Bates, William Miller and others who came out of the Covenanters believed in the literal fulfillment of prophecy. When they saw the “Great Earthquake of 1798 in Lisbon”, the “Falling of the Stars in 1831” and the “Moon turning to Blood in 1843” in their prophetic era of 1835-1844, it was a literal interpretation. Yet their 1844 date of the return of Jesus did not occur and a great disappointment occurred. Since that date, many of the Adventist descendants have been reticent about exploring literal prophetic interpretation of the return of the messiah again. In the defense of the descendants of the “Fathers” of the Great Awakening, all the elements of the prophetic books of the Old Testament were not even envisioned. The Jews were scattered around the world and there was no ideology about Jewish nationhood or an actual concept of a return of a literal assimilation or even an identity of the Lost Tribes of literal Israel. The fact that they have not learned to include the literal return of the House of Judah and the House of Joseph (Ephraim) into their prophetic understanding has led a famine in their prophetic understanding of the future. Satan (HaSatan) gave us our first clues that this was God’s plan. Satan understands very well the plan of salvation by God. He will seek to create a deception before the actual truth is revealed. Under the leadership of Joseph Smith, a new religion in America was formed. This included a new prophetic text and a new inspired scripture. This was the “Spiritual Israel” concept of Roman Catholicism under the leadership of St. Augustine in which Rome is Spiritual Jerusalem, now under the banner of the Ten Lost Tribes now consolidated in the Morman Church and their Temple with Salt Lake City being the New Jerusalem. There is a groundswell within Christendom and Judaism that we are in the time of the end. Christians are looking for the second coming of Jesus son of David, who first came as Yahshua ben Yosef (Jesus son of Joseph). Islam is looking for two messiah; the Mahdi, who will reappear and lead the Muslims through the time of trouble. Then there will arrive Issi ben Miriam (Jesus son of Mary) who will return as the final messiah. The Jewish people are looking for the return of the two messiahs; Maschiach ben Joseph (Messiah son of Joseph) as the suffering servant), and Maschiach ben David (Messiah son of David) as the returning warrior to save his people into another world messianic age. Let us look at some of the facets of future prophetic understanding. 1. All prophecies are multi-dimensional on this earth. 4. There will be a literal fulfillment in the salvation of the Jews, the house of Judah, in which a remnant who is still living in a covenant relationship with HaShem (God) will be redeemed and restored to their glorious destiny. 5. There will be a literal fulfillment in the Assimilation of the Lost Tribes of the House of Israel, under the House of Joseph. 6. There will be a literal fulfillment in the restoration of the House of Abraham in which the descendants of Ishmael (Islam) will learn to live peaceably with their cousins the descendants of Isaac (Jews and the returning House of Israel/Joseph/Ephriam). · Yet the literal fulfillment will also touch the spiritual realms of the creations of the Lord of hosts. We will find that all prophecies are multi-dimensional in the universe. As we are being redeemed and restored, the angelic host is being also redeemed and restored. The fallen ‘evil’ angels are being separated from the presence of the good, righteous angels. · As we are being redeemed and restored, the other fallen worlds (dimensions) are in the process of being redeemed and restored now or in the future millennium. This latter act may be accomplished with the assistance of the glorified immortal saints and chosen ones of Israel (144,000). · All prophecies have application in two-dimensional or linear time – past, present and future, until the complete of the one thousand years of the Great Day of the Lord. At that time, time will be no more. · All prophecies have applications in multi-dimensional time that is outside of our time. Take a look at Revelation when the portals of heaven are opened. When we see the portal gates opening, we see the heavenly sanctuary or altar. There we notice that something is happening in the spiritual realm. When that occurs, then something also is happening in the physical realm (Malkhut). Prophecy is being fulfilled outside of “Time”. Let us revisit the Passover. The cycle began during the Exodus from Egypt about 1550 BCE. This exodus and redemption met it’s fulfillment at the Cross (midst of the week). We now recognize that the original Exodus was only a reenactment or a drama of the final Exodus when HaShem (God of Israel) will restore this earth to a literal Kingdom of God. Will the Festivals of the Lord be literally fulfilled at the time of the time? There is evidence that this cycle may be true and valid. Let us review the evidence. The Spring Festivals can be now seen as a literal fulfillment of the birth, ministry and the final week of the Passion of our Lord which culminated in His death, resurrection, and ascension. This was the first coming of the Jewish Maschiach, the Maschiach ben Yosef. Let us look at a few of the typologies. Simhat Torah (8th day of the Feast of Tabernacles) – The Circumcision of Yahshua (Jesus) and officially given a Name - On this day, as prescribed by the Torah, this young male child was circumcised and given His Name, Yahshua. On this day, He became the fullest manifestation of the Torah, the “Torah in the flesh” or the ‘Living Torah (Torah Chayim) called the ‘Word’. On this day when the priests were dancing with their Torahs at the temple of the Lord and the rabbis were carrying their Torah scrolls in the synagogues of Jerusalem in celebration when the Torah became alive, Yahshua was officially declared a live human babe. Festival of Tabernacles (Succot) – Yahshua begins His ministry during the Feast of Succot - On the ninth month, the young rabbi, Yahshua haNotzri (the Nazarene) started His ministry in the midst of the Sabbatical Weeks of years or the seven year Sabbatical Sabbath of years. Three and one-half years later, when all the land in Judea was to lay fallow and the inhabitants of the land were to spend a year in the study of Torah with their rabbi, Yahshua was completing the final year of His ministry and in preparation for its epic conclusion. During the Sabbatical Year (Week of Years) that occurred every seven years, Yahshua went to the Passover and there in the midst of the seven day week, the Drama of the Ages occurred. Festival of Passover (Pesach) – Yahshua was captured, arraigned, put on trial with the Sanhedrin, condemned to death by the high priest, sent to the Roman Governor for permission to execute Him, hanged on a tree on the Mount of Olives, and three days and three nights later, on the eve of the first day of the Feast of Unleavened Bread, arose from the grave in a glorified Edenic state. - On this festival which officially began when the sliver of the New Moon was sighted over Jerusalem, Yahshua haMoschiach (Jesus the Messiah) literally fulfilled every action of the Pesach lamb from the time they both entered the Damascus Gate into Jerusalem, both were examined for three days, both were proclaimed “without blemish” on the fourth day and both were sacrificed by the temple priests on the 14th day of Nisan. Forty days of Omer (Preparing for the Giving of the Torah at Sinai) – Forty Days to Prepare for the Arrival of the Holy Spirit - The forty days after the resurrection of Yahshua, included the days when He remained on this earth with His disciples until His ascension into heaven and the preparation time that it took for His disciples to become of “one accord”. This followed the forty days that Yahshua in the Shekinah Cloud of glory that led the children of Israel through the wilderness to the mount called Sinai. This was the forty days that each day became a learning lesson in coming into a relationship with the God of Israel. At the end of the forty days, they were all in ‘oneness” with their God, HaShem, and prepared to make a covenant relationship with Him. Festival of Pentecost – The Arrival of the Power of the Holy Spirit - After the ascension of Yahshua, the Ruach HaKodesh (Holy Spirit) came upon the talmidim (disciples) of Yahshua (Jesus) when the power of the Spirit of the Holy One of Israel came upon them in cloven tongues of fire in the corridor of the temple. Hindsight is always more fruitful than foresight. Christians have for centuries been critical of the Jews for not seeing the “signposts” and the “shadow-pictures” that were given to the Hebrews to alert them to the coming of the Maschiach of Israel. What we have learned in a critical historical review of the life and times of Jesus the Nazarene, that the Jewish people did see the signposts and did accept Jesus the Nazarene as their messiah. This fruits of this messianic revival was aborted, not by the Jewish people, but by the temple leadership led by the powerful Sadducean family, the House of Hanan (Ananus the Elder). This history is documented in the series on “The Hebrew Nazarene Ecclesia”. Yet in 1840 there were no Christians who literally believed in the literal coming of the Messiah. Then the Great Awakening came to America and Europe. The final ‘loud cry” began to resound around the world. We still can only see through that prophetic glass darkly today. Yet as more of the followers of the Jewish messiah, Yahshua ben Yosef study the Torah and the festivals of the Lord, that prophetic picture will come into focus more sharply. Christians today who claim to believe by faith in Jesus the Messiah are lost without the Hebrew “signposts” as revealed in the Torah. As we plow deeper and deeper into the tribulation time foretold by the prophets of Israel and the prophet of the New Covenant of the Nazarenes, terrestrial catastrophes will begin to surround our lives. As we look around us, we realize that most of Christendom, Islam, and Judaism are clueless about where we are going. The delusions surround us that tomorrow will get better but the geo-politics of the world continues to get worse. This haunts all the citizens of this planet earth. Tomorrow will not get better until the Maschiach of Israel comes to claim His own. Let us look at a vignette of how the festivals of the Lord will help the “saints” and the “chosen ones” as tribulation’s clouds get darker and darker. 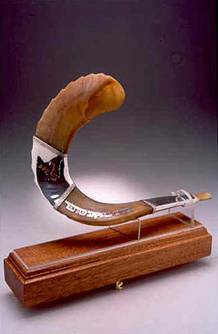 Rosh Hashanah - The prophecies of John in the Book of Revelation depict the blowing of the 7th and final Shofar just prior to the coming of the Messiah. 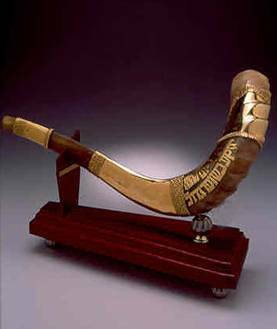 This very moment of time has been imbedded in the festivals of the Lord as the blowing of the Shofar at Rosh Hashanah, the New Years of the Jewish civil year. The Ten Days of Awe – After the 7th shofar (trumpet) is blown, the “saints” and the “chosen ones” sealed by the God of Israel will spend ten days of prayer and fasting in preparation for the Day of Judgment. This is a time which they are preparing to be at-one-ment with their Lord just before the arrival of the Great Day of the Lord, the millennium of a messianic age with the Son of the Living God. During the last forty two months before the coming of the Messiah, the two witnesses of Revelation will become the protectors of Israel. There are some that consider that the two witnesses are not literal human guardians but are the two testaments; the TaNaKh (Old Testament) and the Brit Hadassah (New Testament). This model is many times inconsistent with its own exegesis, or interpretations of scripture, as sometimes the interpreters jump back and forth between biblical symbolism and literalism. Keeping a literal interpretation of prophetic scripture, the two most prominent concepts about the identity of the two witnesses are; Moses, the Lawgiver and the authority on the Torah with Elijah, the Greatest of the Prophets. Another interpretation suggests that the Old Testament apocalyptic prophet, Daniel, the Prime Minister of Babylon and Persia will be teamed up with John the Revelator, the apocalyptic prophet of the Brit Hadassah (New Testament). Three and a half-years earlier, regional and global wars had become uncontrollable as the epic east globalist war against the western globalists in the battle between the Ram (Red Internationale globalists backing up Nuclear Iran) and the He-Goat (Golden Internationale of European NATO empowered by the huge aerial power of the United States) in Daniel eight, rises out of the middle of the War against Terror as the King of the North (Christian West) confronts the King of the South (Nations of Islam) in covert and overt military battles. These military engagement are layered over with the culmination of the Gog Magog War and the invasion of a giant military coalition into Israel. The Hand of the Almighty One of Israel will be seen with devastating effect in the final end of the Gog Magog War as the globalists bid to destroy Israel are rebuffed by the direct intervention of HaShem. During the forty two months of the two witnesses, the seven last plaques begin to fall on this planet, we see Moses calling forth the plagues and Elijah calling down the fire. The ten plagues of Egypt that destroyed the ten prominent gods in the Egyptian pantheon will become the seven last plagues, with seven a number of completeness and finality, on this planet earth. During this time, during the first four trumpet or vial plagues the forest, trees, grass, crops, cities, water supplies, and oil deposits are destroyed. Whole sectors of this planet are no longer habitable. Also during this time, we see Israel, with the two witnesses, is spared the plagues and is the only country on the earth with intact water supplies, lakes and rivers, with productive farmlands. What is even more amazing is during this time the latter rain will fall upon the Land of Israel and will begin to grow produce with an abundance that has not been seen in thousands of years. There is a vast migration of Jews back to the Land of Israel including a return of people recognized as Children of the House of Joseph (House of Israel). The “Exodus” of the House of Israel from their 2700 year exile scattered across the nations of this earth begins. Then comes the Forty Days of Omer where the returning lost tribes of the House of Israel will have to be taught again their identity and how they will be assimilated into the land of Israel. The Latter Rain is spiritually poured out over the world. There is a vast return of the Jews and the Assimilated House of Joseph to the faith of Yahshua their Messiah, while there is a huge literal return of the Jewish people in the Diaspora plus large numbers of inhabitants finding their lost Israelite heritage. Is this the time when Yahshua returns to step upon the Mount of Olives and the final catastrophic events begin to remodel the Land of Israel. The Gihon springs that has brought forth a consistent but meager flow of war suddenly erupts from under the site of the ancient temple now forms a mighty river. It flows towards both the Mediterranean Sea to the west and to the Dead Sea to the east, and eventually to the Euphrates River to the east. (Zechariah 14:4) The Jewish Sanhedrin and the leading rabbanim of Israel meet with Yahshua and recognize Him as their son and their Maschiach (Messiah). A vast cataclysm in Israel splits the Mount of Olives. 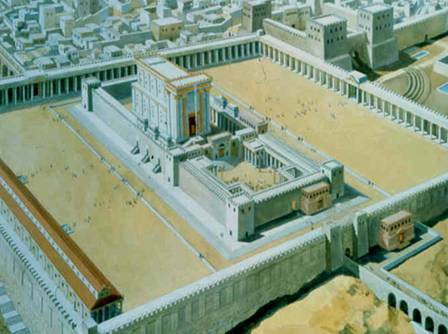 The area surrounding the Temple Mount is lifted up and a vast plain levels the land surrounding Jerusalem. The seismic uplift breaks up the oil deposits under the earth. The Arabian oil deposits dry up and vast oil deposits are found in Israel. The world becomes envious and covets the protective hand of the God of Israel upon His people. The nations of the world gather their armadas to invade Israel. The trumpet and vial plagues 5 and 6 are cast upon this earth. At the sighting of the sliver of the New Moon, the 7th Shofar (trumpet) will resound around the world and this planet is awakened to the heralding of the coming of the Messiah. During the Ten Days of Awe the authentic Jewish citizens will be in prayer and supplication before HaShem their God. The international forces of all the nations of this world will be moving into military readiness in the great land mass surrounding Jerusalem. This plain of Megiddo when the final battle of Armageddon begins may extend all the way to the banks of the Euphrates River in Iraq. The two witnesses are captured and killed. Their bodies lay exposed in the streets for all the international media to revel in their demise. Suddenly, the two witnesses are resurrected on the third day and are transported to another heavenly dimension as the international news records every event as the international globalist forces consolidate their military hold on the tiny sliver of land called Israel. The Day of Atonement – The forces of HaShem materialize into our three dimensional world soon at or after Yom Kippur. The forces of the anti-Messiah are annihilated by the fire of the glory of retuning Messiah. The Sea Beast (Western Masonic, Illumanist, Jesuit Catholic, and Shabbatean Jewish globalists) along with the Earth Beast (the False Prophet of Islam) are cast into the Lake of Fire. The resurrection of the saints and the chosen ones of Israel are transformed into glorified “light beings” like their fore-parents Adam and Eve and Yahshua has He arose from the grave in His glorified human form. With the forces of Satan destroyed all across the wilderness of the Middle East, the greatest celebration event on this planet earth begins with Succot, the Feast of Tabernacles. Yahshua has now come to “rule with rod of iron” but more than that to dwell and tabernacle with His own people, the “chosen ones of Israel”. If you were the God of Israel, how would you choose to communicate with man? Outside of overwhelming us with a Mount Sinai experience, or direct visions to His prophets, the most consistent way God speaks to man is in the manifestations of nature and with types and symbols of prophetic history. When we finally graduate in God’s seminar, “Spiritual Types and Symbols 101”, do we think that is all that HaShem wants to teach us? Why is it, that once we find one prophetic fulfillment, we think that this is the whole story? Maybe we are now being exposed to a study of the Love of God that is never fully told nor understood? Maybe it is a story that with every dramatic retelling, a new revelation by God is revealed? Is all this speculation? Yes! and No! If the God of Israel literally fulfills His plans according to His promise, will He not also give us a blueprint of His plan of salvation? Is this blueprint written in the festivals of the Hebrews? If so, will not these festivals have great value to us as the chosen ones of the Messiah who are awaiting His return to guide us in those perilous moments of earth’s history? Will this not be an era when reality and non-reality along with righteousness and evil will appear so similar that “even the elect” may be deceived? If we believe that the prophecies of Zechariah and Isaiah were given by the God of Israel, then these are the messages from the Divine that were prophesied to be fulfilled in the future centuries until the time of the end is completed and the Great Day of the Lord begins. Shalom and have a Wonderful Year with our Lord!